The Screaming Viking is one of those drinks that didn't exist until a TV character ordered it, exactly like the Flaming Homer/Moe. In this instance, it was the first episode of the sixth season of and it was created as a prank. The plot is that Sam Malone wanted to win his job back after selling the bar. The new bartender, Wayne, claimed to know every drink ever made, but he was quickly challenged. When Norm walks into the bar (pretending not to be the beer guzzling regular he was) and orders a Screaming Viking, Wayne is stumped. Woody, on the other hand, knows exactly what to do. We never actually see the drink being made and there is only the mention of a bruised cucumber. If you look closely, you will see Norm with a neat, semi-clear drink in an old-fashioned glass that is garnished with a cucumber. Somewhere along the way, someone created the following recipe and gave it the Screaming Viking name. Is it the one Woody mixed up? Probably not... it's TV! However, it is a decent drink and really not much different than an April Rain. 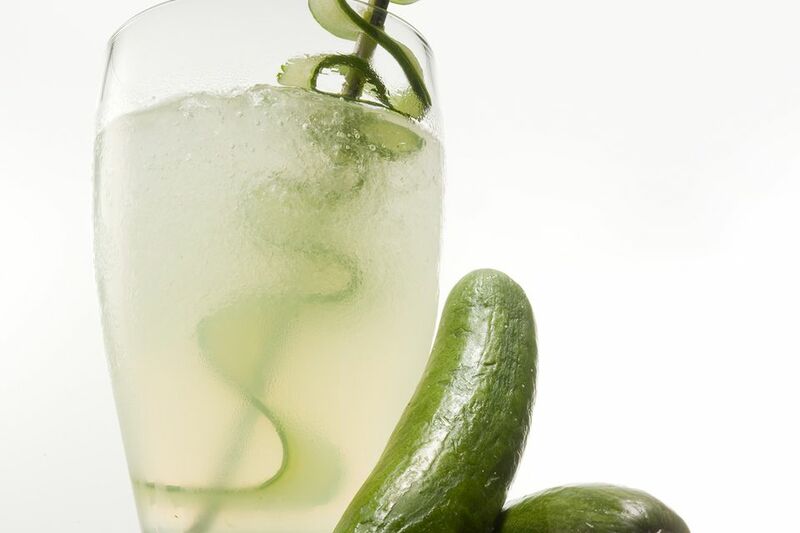 Garnish with a celery stalk and cucumber spear. Now, to thicken the plot even further on this fictional cocktail, the real Cheers bar in Boston does have a Screaming Viking on their drink menu. It is a completely different drink, so it seems like the bar took liberties with the cocktail on the show because it does not look anything like what was in that glass Norm held. While I don't know their exact recipe, it's a pretty tasty mix and you might enjoy it more than the first one. To further complicate matters, I have heard of yet another Screaming Viking drink. It is nothing more than a shot of Drambuie with a half pint of cider served on the rocks as a back. Welcome to the crazy world of cocktail recipes! It's a place where few people agree and everyone loves a catchy name.